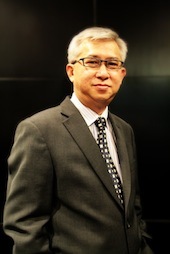 Sam W.S.Chia is the Director/General Manger of HRnet Performance Consulting Pte Ltd. With more than 20 years of international leadership experience with different organisations and industries in Asia, Sam has proven track record of building organisations and leaders in the region. He is highly passionate in improving organisational performance through people. He has in-depth organisational development experience and is now focused on helping organisations identify and develop their talents. Sam was the Vice President (Southeast Asia/India) of a global organisation before joining the HRnet Group and has lived and worked in Malaysia, Singapore and China. He holds a Masters degree in Business Administration (MBA) from the University of Bath and has attended the High Potentials Leadership Program in Harvard Business School. He is a Certified Solution Focused Coach accredited by Canadian Council of Professional Certification (CCPC) and is certified in Harrison Assessment Talent Solutions (HATS).